We have removed rigidity from the equation as much as possible for the benefit of you and your customers. By increasing our billing frequencies and billing days, we have provided greater flexibility surrounding the transfer process. Furthermore, our products FastDD and Electronic File Transfer make collection more straightforward and quicker. FastDD provides a simple method for your customers to make payments via your website. Tailored to match your company’s branding, integration with this system is simple and Automatic bank account verification reduces errors on entry, giving your customers that additional security blanket. 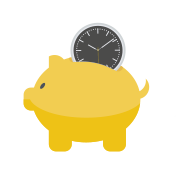 The alternative is our Electronic File Transfer system, another simple and speedy payment option that allows fixed-term or ongoing collection to be set up either face-to-face or over the phone. Through utilising both of these methods, your customers will receive personalised confirmation letters to keep them as informed about their payments as you are. We understand that you need to offer your customers as much flexibility as possible to keep them happy – and we want to keep you happy by giving you that option. We offer a wide range of billing frequencies to suit you and your customers – billing can be scheduled on a Weekly, Fortnightly, 4 Weekly, Monthly, Quarterly, or Annual basis, and it is available daily Monday through to Friday. As a result your customers will be more appreciative, and it will mean that you can rely on a steady flow of payments throughout the year. We also offer a variety of methods of loading: Online (via Fast DD), traditional paper forms, EFT and Hosted API. We’re happy to be in a position to offer you a variety of choices so that you can find the best fit for your company and your customers. Our mission is to make our clients business easier and help improve your relationships with your customers so that they stay longer. You can leave us to collect your Direct Debits, while you concentrate on running – and growing – your business.